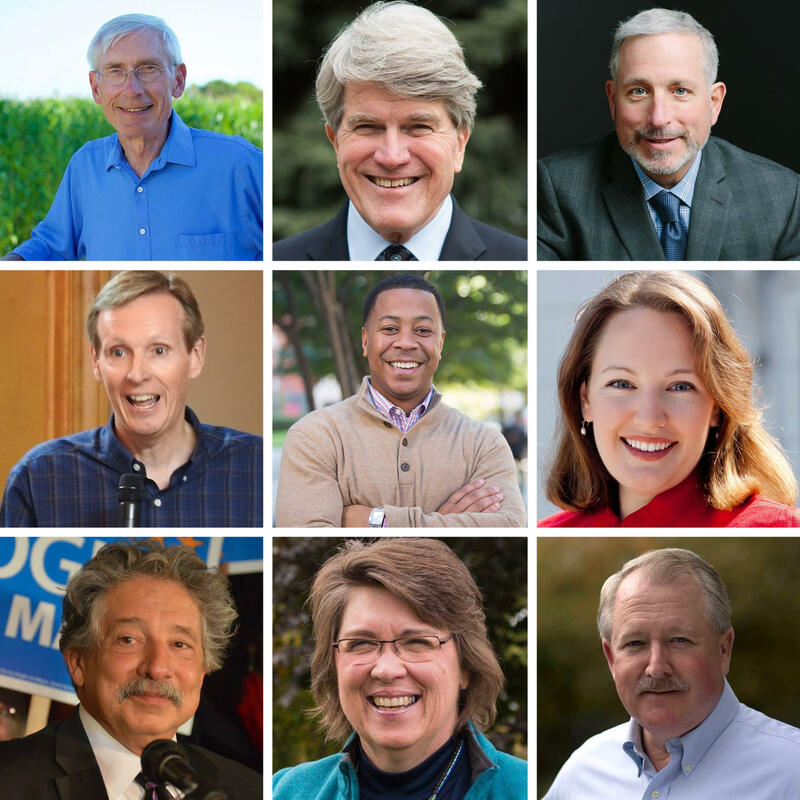 Madison Mayor Paul Soglin is the latest hopeful to join the crowded field of Democrats who want to challenge Gov. Walker this November. This brings the number to 17 Democrats who’ve either formally announced their bids or are considering a run. Voters could find themselves having to choose from a potentially confusing, lengthy list of candidates. WUWM spoke with a few people about the pros and cons of having such a large field. Martha Laning, who is chair of the Democratic Party of Wisconsin, says she doesn’t recall a time when Wisconsin had such a large number of people running for a statewide office. She says it’s reflective of the mood she believes is sweeping the country. “People are really fired up right now, we are seeing more activism than we have seen in a long, long time, and through that activism, we have a lot of people who are coming forward." The Democratic Party won’t be endorsing any particular candidate in the primary – her organization’s constitution forbids it. Though, Laning says she’s thrilled there’s such a large number of people in the race and that some candidates are from cities scattered across the state. She says it means more people will be talking about the issues that impact Wisconsin families. But longtime Democratic political observer Evan Zeppos says in some ways, a crowded field isn’t ideal. He thinks the winner of a fragmented primary could emerge with only 20 percent of the vote – and would appear weak compared to Republican incumbent Scott Walker, who’s won statewide election three times. “It could lend itself to having a candidate who doesn’t have the ability to develop broad statewide support, but have a very small localized base of support winning a primary, and then set himself or herself up for not a very good general election campaign,” Zeppos says. He believes the race will come into sharper focus once candidates begin to release their campaign finance reports. Zeppos says those who raise the largest sums of money would then be considered front runners. Carroll University Political Science Professor Lilly Goren says it’s entirely possible that some candidates will drop out. “It’s hard to maintain that kind of a field. It’s going to take money to advertise on television, it’s going to take money to put together at least a small staff to manage your campaign." She says if a number of hopefuls drop out of the race, the Democratic primary winner could emerge pretty strong. Goren predicts the final 60 days of the campaign will be lively with at least two candidates garnering a double digit percentage of the vote.